If Rotageek is running slowly or not working as expected on your tablet or mobile device, clearing your cache might help. Each time you use an app on your tablet or mobile device, a small amount of data is stored. This helps the app remember frequently used data and improves your user experience. However, this data can take up memory space on the device or in app causing it to run slower than normal. Regularly clearing your cache can help avoid this problem and enhance your Rotageek experience. To clear your browser cache on iPad or iPhone, open the Settings page by tapping the Settings icon. Next, select Safari from the Settings sidebar menu. 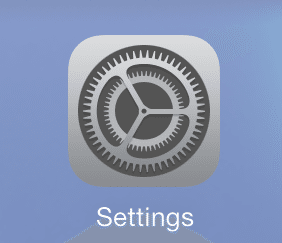 This will bring up the settings page for Safari. 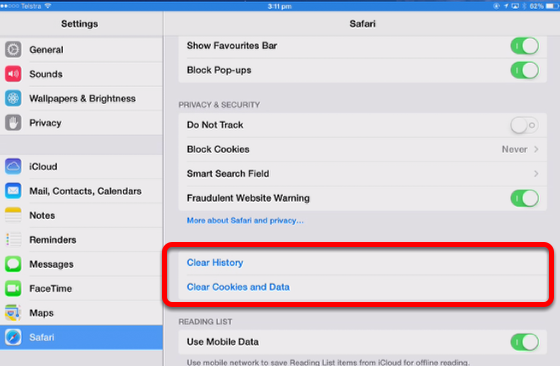 On this page, find the button that says Clear Cookies and Data and tap it. Press Clear on the prompt that follows to refresh your cache. Note: some iPads and iPhones may only have one button that says Clear History and Website Data. If that is the case, use that button instead. On your home screen tap Apps. Then from the All tab, select Settings, then Applications. 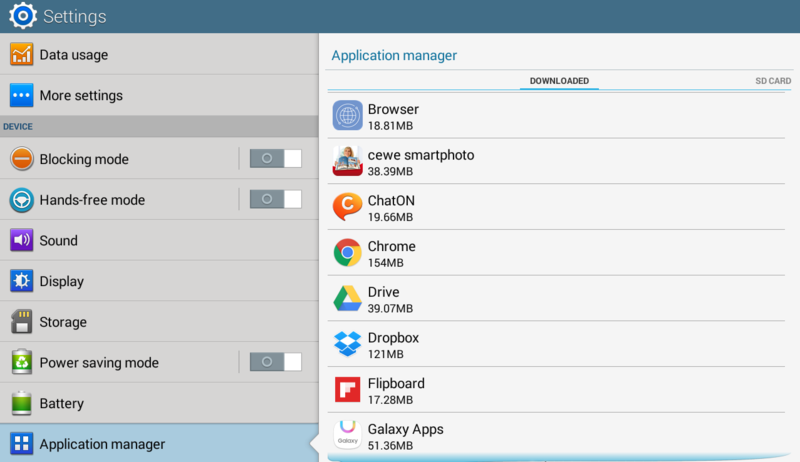 Tap Manage Applications, and from the All tab select the App you want to clear the browser data from. Finally tap Clear Cache and you should be good to go! For other Android devices, go to the Settings menu. 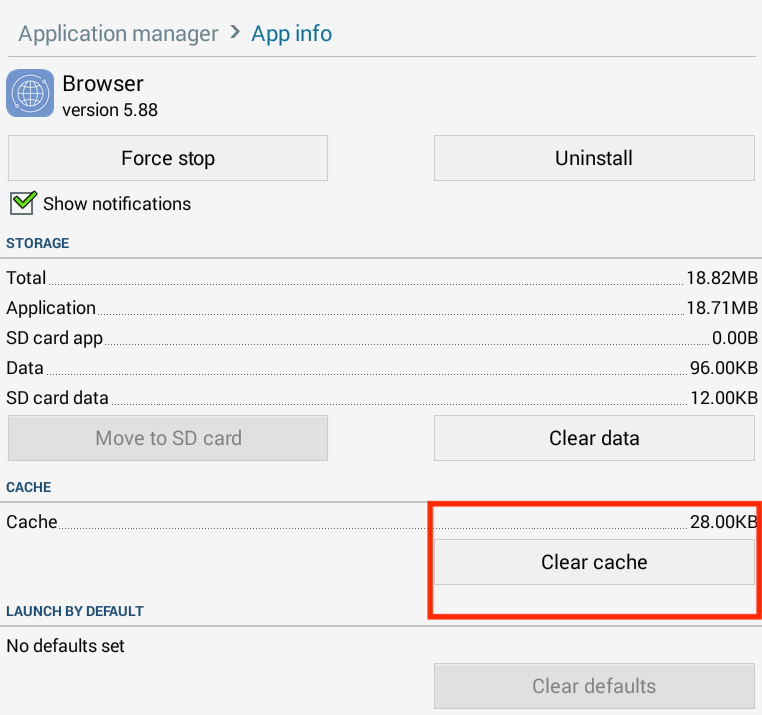 Next find Apps (depending on your device, this might be called Applications or Applications Manager) and then locate the App you want to clear the cache for. Select Storage and then finally clear cache. If you've cleared your cache and are still experiencing issues using Rotageek on your tablet or mobile device, then please contact our help centre.